"Wool makes for a wonderful coat. Wool with a splash of cashmere, specially woven for us in Italy? Well, now we really are talking. 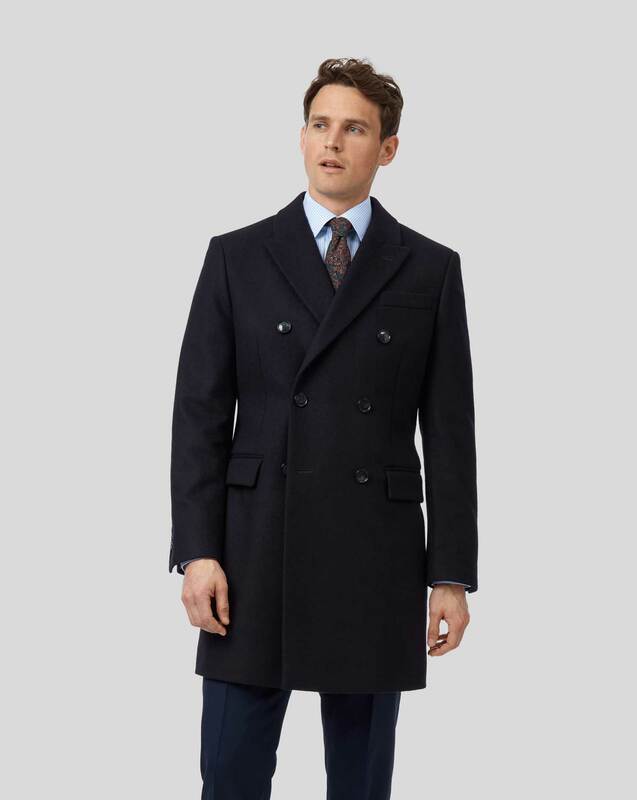 Here we've cut the luxurious Italian cloth into an Epsom overcoat, which features a natty double-breasted fastening and body darts for a sleek tailored fit. If you ask me, this is the coat your outfit deserves." "Made from fabric woven with a touch of cashmere at the prestigious Luigi Zanieri mill, Italy, this coat is delightfully soft and luxurious." Quality made with a dense and warm weight to the coat. Has a tailored fit to flatter the silhouette - decent length just above the knee (I’m 6ft) a clear purchase for any professional! Response from Charles Tyrwhitt: Our Epsom overcoats have long been a staple part of our range, loved for their fine detailing and impeccable quality, so to see this wasn't your experience is most disappointing indeed. Rest assured, we will take your feedback on board and ensure our Products Team review your coat once it is returned to us. We only ever want to provide customers with a great quality product which fits perfectly and can be enjoyed time and time again.